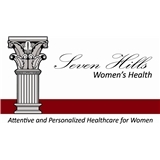 Seven Hills Women's Health (Austin) - Book Appointment Online! Seven Hills Women’s Health has recently been awarded the Safety Certification in Outpatient Practice Excellence (SCOPE) for Women’s Health. SCOPE is a safety focused program of the American Congress of Obstetricians and Gynecologists (ACOG). For more information please visit the website. At "Seven Hills Women's Health" we invite you to experience the art and science of Obstetrics and Gynecology. We truly want to get to know you as a person. I have assembled a dedicated staff, trained to anticipate and ease any problems or concerns. We focus on patient safety, world-class results, and compassionate care. If you have an emergency or problem visit please make an appointment on Zocdoc for the next available time and write in your appointment notes the issue you are having and we will do our best to fit you in earlier. Also feel free to call the office. If you have endometriosis or are looking for a diagnosis, this is the doctor you need to see. I went to 4 other gynecologists before her and was blown off every time. Not only did Dr. Prisacaru move my appointment up to see me sooner, she did my surgery 3 weeks later and did a fantastic job. She is incredibly smart and makes you feel optimistic about getting better. She takes pain management seriously. The thing I was most blown away by though is how available she is to her patients. After surgery she texted me every day to answer my questions and make sure everything was healing correctly. Since then, I can talk to her via the patient portal if I have questions or concerns. She always responds quickly and will take your concerns seriously. I would not consider seeing anyone else again besides her.